Imitation is the sincerest form of flattery. 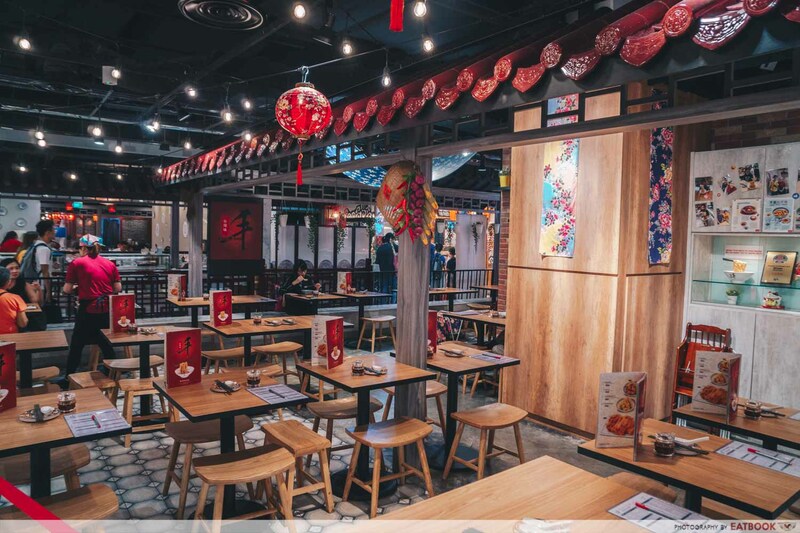 Din Tai Fung is a venerable Chinese food institution in Singapore, and the number of eateries that have popped up to mimic their success is eyebrow-raising. 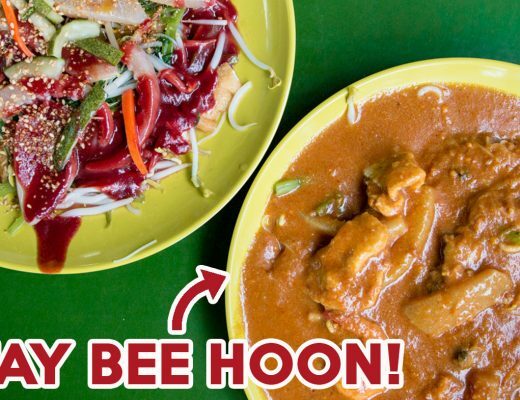 Yishun’s Feng Food is one of those joints serving up uncannily similar dishes to the Taiwanese giant. 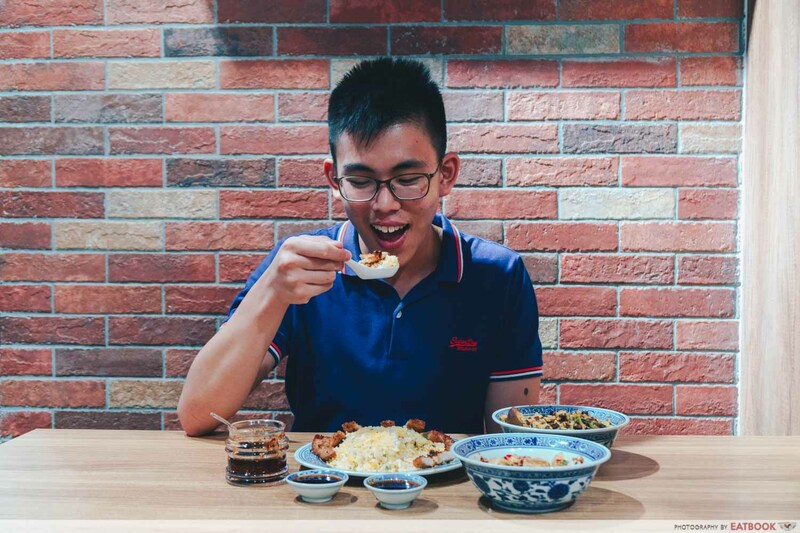 Eager to get our fried rice fix while dodging DTF’s crazy queues, we headed down to see whether this challenger could lay a glove on the established favourite. 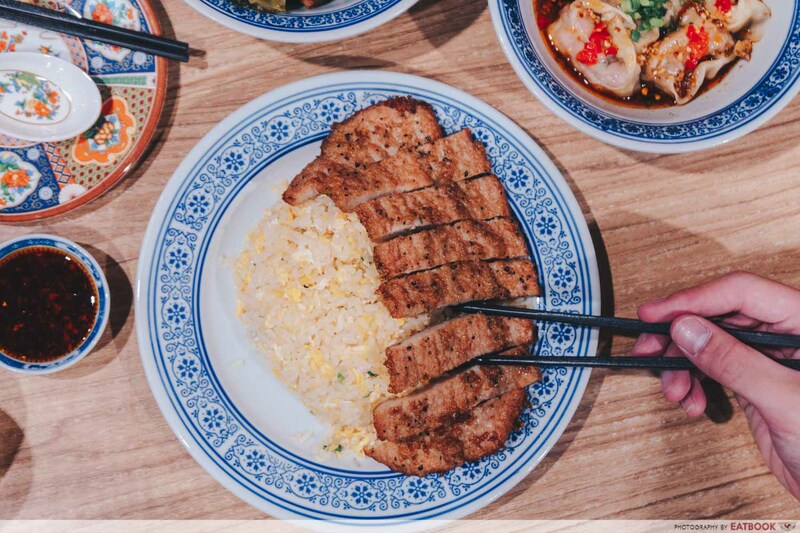 Xiao long bao aside, Fried Rice with Specialty Marinated Pork Chop ($11.80+) is likely Din Tai Fung’s best-known dish. Whether in pop culture or food, remakes often pale in comparison to the original, so we approached this dish with a healthy dose of scepticism. Marked with a double thumbs up on the menu, we hoped for a rendition that at least did justice to the titan that is Din Tai Fung. On the appearance front, it was remarkably similar, with a well-manicured mound of egg fried rice partnered by a gleaming pork chop. Down to the specks of black pepper that dotted the meat’s surface, we would be hard-pressed to separate this and Din Tai Fung’s version. The pork chop exceeded our expectations, and was undeniably impressive. It walked the fine line between meaty and tough, remaining wonderfully tender while bearing a robust bite. This is likely the result of a brining process. Flavour-wise, “marinated” is the keyword. The seasoning completely penetrated our pork chop, making it scream with flavour. Harmonious is the best way to describe it, with no individual ingredient overshadowing the other. 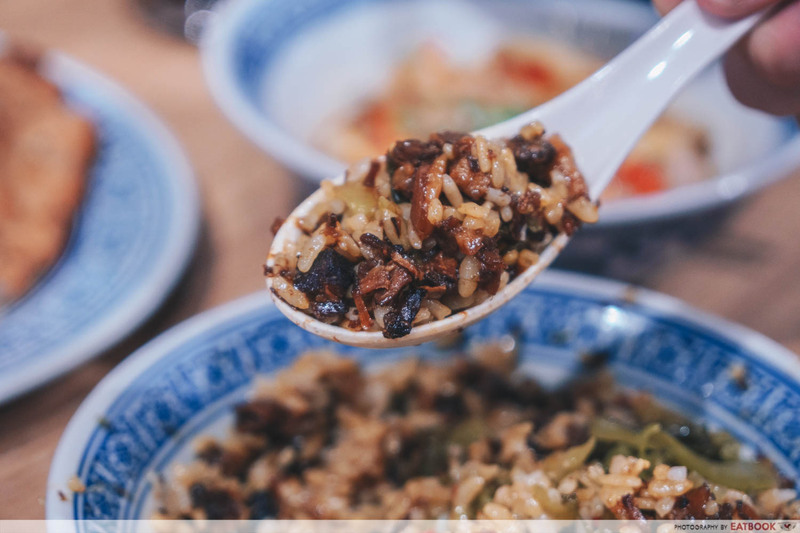 When it comes to assessing fried rice, there’s really only three criteria to look at: flavour, texture and wok hei. It was flavourful throughout, with a mild eggy flavour periodically discernible. Flavour, check. The texture of Din Tai Fung’s short-grain rice is its most attractive feature to me. 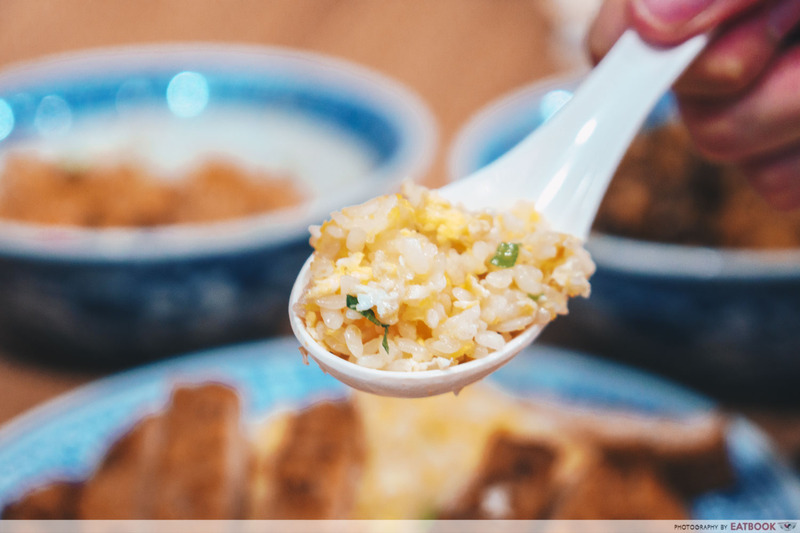 Using similar small and chewy grains, the rice at Feng Food passed with flying colours, keeping moist without being mushy. Texture, check. Unfortunately, our last box remained empty. Wok hei is a cornerstone of Chinese stir-frying, but it just wasn’t in attendance here. But make no mistake, this is a good plate of fried rice, just that an infusion of “wok’s breath” would have ascended it to the next level. We also tried enjoying it with their signature chilli, which was ominously labelled “super spicy”. We should have taken the warning and approached with caution. I consider my spice tolerance slightly above average, but a small glob of their explosive mixture made beads of sweat form on my scalp. More than just a poor caricature of the original, this plate was a challenger that could hold its own against the reigning champ. This unpretentious restaurant showed off its Taiwanese side with their Hakka-style Braised Meat Rice ($8.50+). 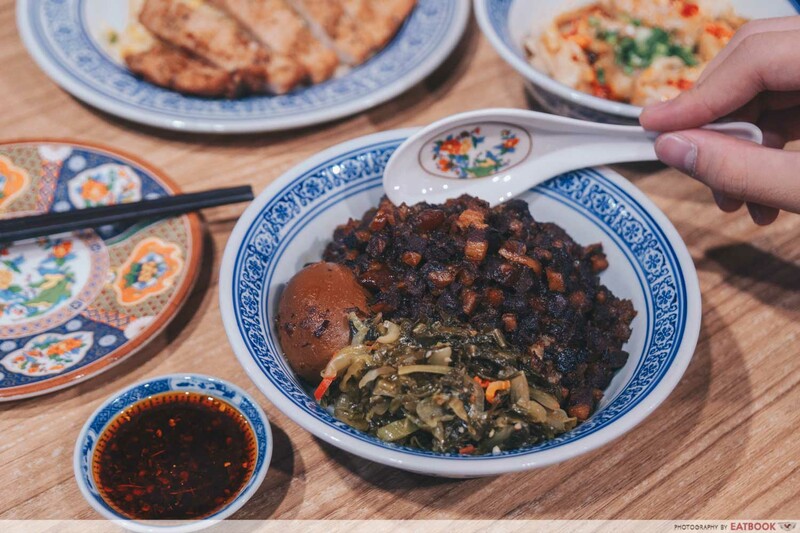 Rich soy and porky aromas mingled and wafted from the generous portion of lu rou that capped our bowl. Our meat was noticeably darker-brown than usual, translating to a deep soy flavour. 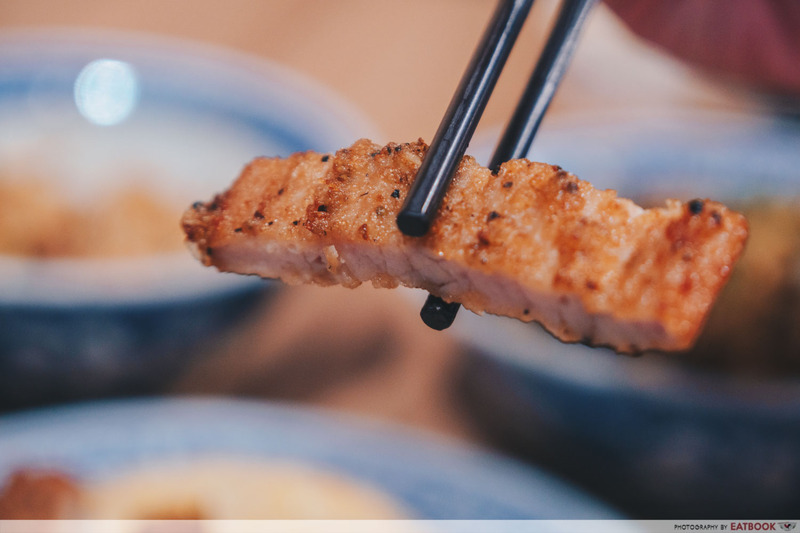 In addition, the fat to meat ratio was skewed more towards meat, resulting in a heartier and heavier rice bowl. Personally, I would have preferred slightly more fat to add a gelatinous dimension to this dish. The advantage of this more savoury rendition was its effect on the rice. Our absorbent, short-grained pearls became saturated with the strong sauce, making it a pleasure rather than a chore to finish. However, had I not shared this bowl with my dining companion, I envision having trouble finishing it due to its barrage of heavy flavours. 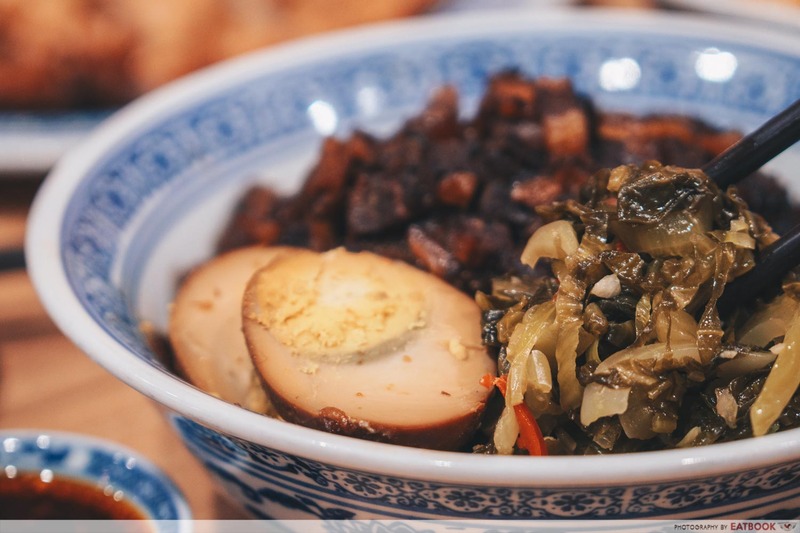 Cai buey, or salted vegetables, is an often overlooked aspect of lu rou fan, but it’s essential for cutting through heavy flavours. That was especially pertinent here, as this cai buey was fresher and less salty than usual, making it more adept at cutting through the richness. Shrimp & Pork Wontons with Hot & Spicy Sauce ($6.80+) is a must-order for me every time I eat dim sum. 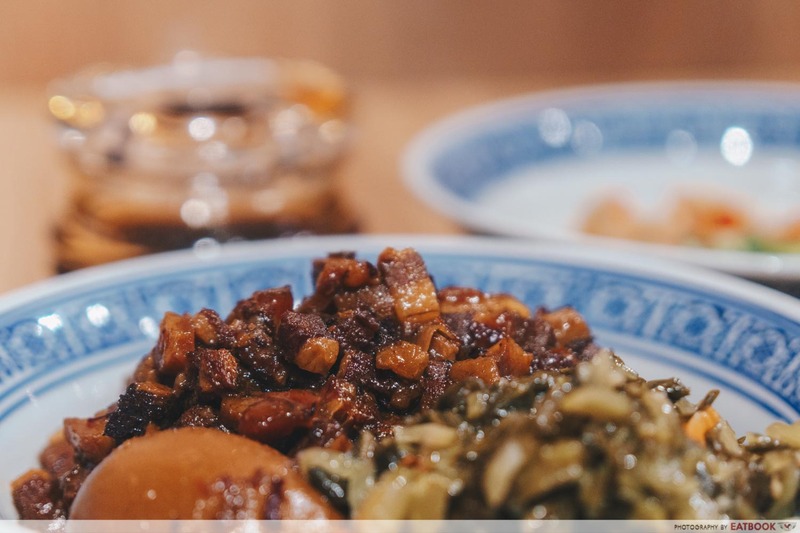 Vinegary, garlicky and spicy, this dish encapsulates some of Chinese cuisine’s most fundamental flavours. Pivotal to a satisfying interpretation is slippery, not-too-thick wonton skins, and a juicy interior. 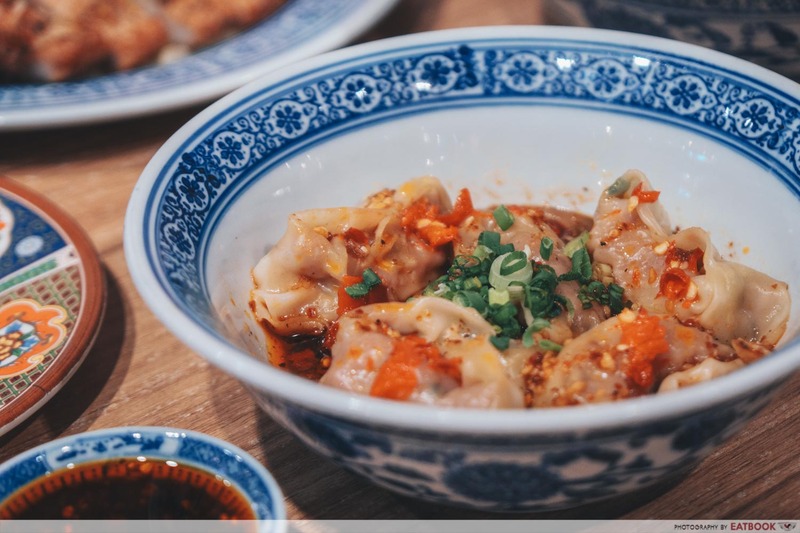 These factors were fulfilled, as a bouncy prawn and soft minced meat filled each wonton. 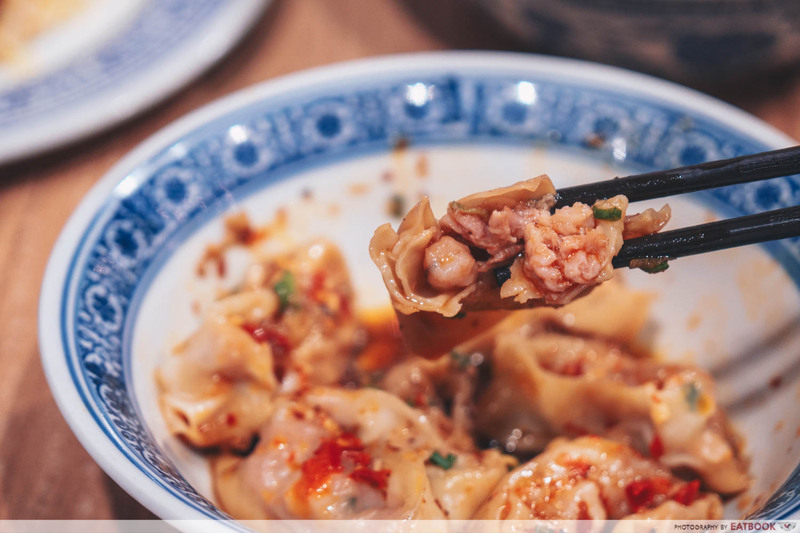 It’s hard to go wrong with this combination of flavours, as the powerful marriage of vinegar, garlic and chilli balanced out the meaty wonton filling. I was addicted to these zingy morsels, and found myself downing several in succession during our meal. As it was my first time in Northpoint City, I was stunned by its sheer size. 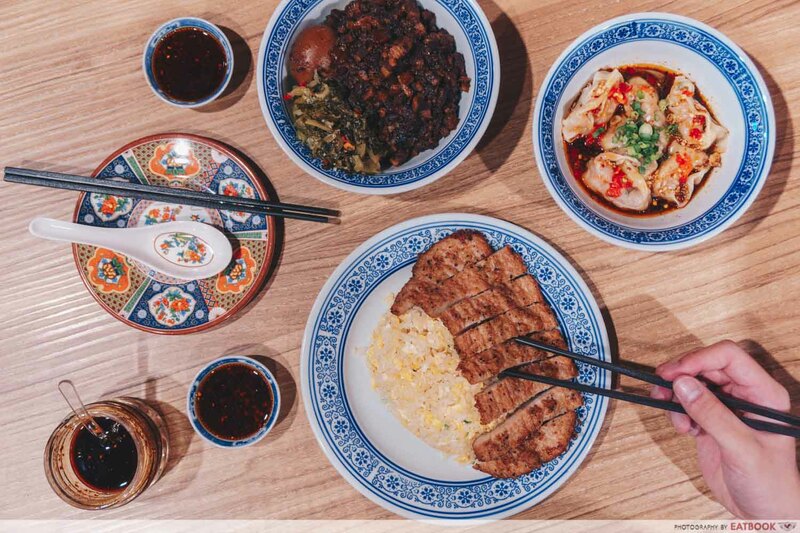 This mega-mall has an astonishing array of dining options for your perusal, including Din Tai Fung itself, so you’ll invariably be able to find something to suit your stomach in this sprawling Yishun mall. 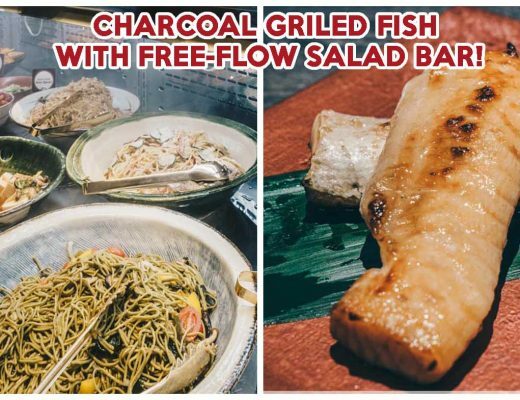 Located in Northpoint’s B1 food street, along with a maze of other restaurants, this restaurant bears simple wooden tables and the classic red-and-black Chinese colour scheme. Admittedly, we came down to Yishun sceptical of Feng Food’s ability to match up to the lofty standards of Din Tai Fung. 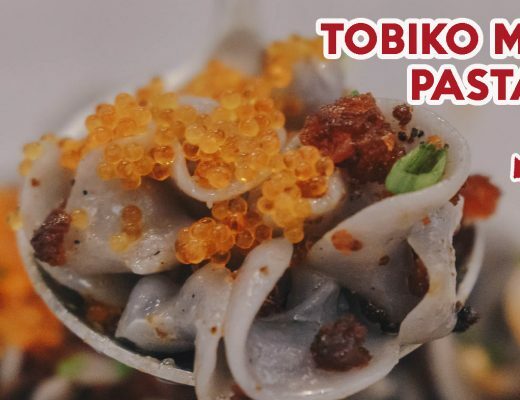 Despite that, it rose to the challenge, serving up food that proves it deserves its own recognition aside from that of “Din Tai Fung copycat”. 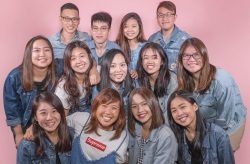 One reservation we do have is that we wish the prices would be a bit cheaper, especially considering that this isn’t a full-fledged restaurant. 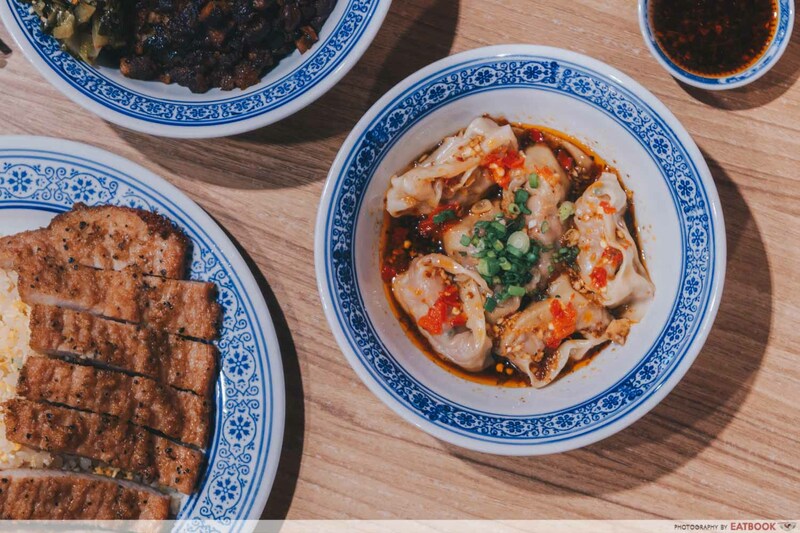 Regardless, it’s a great option for those in the know to enjoy some genuinely good Chinese food while dodging Din Tai Fung’s crowds. 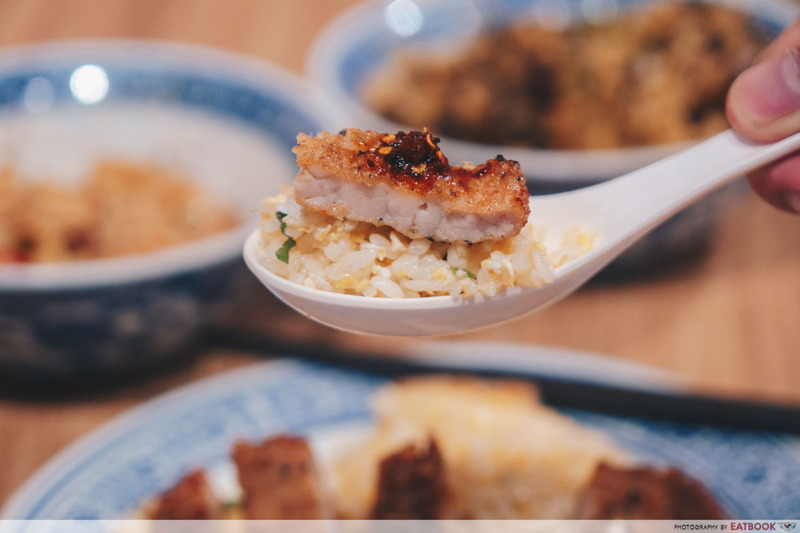 For more renditions of pork chop fried rice, check out our reviews of Hao Lai Ke and Supreme Pork Chop Rice.